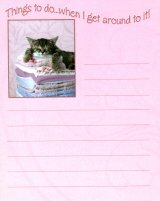 This list pad features a cat lying on a pile of towels and blankets. 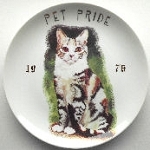 It is saying "Things to do ... when I get around to it!". The list pad is 9" high x 4" wide. Self adhesive magnet included.